Doing the everyday household and cleaning work is something not many people like or have the time to do. We can offer you the assistance you need in your domestic chores and cleaning tasks. Our domestic cleaners will sanitise the rooms in your home using the most advanced machines and biodegradable detergents. You can count on them to ensure the spotless and tidy condition of your home. Our domestic cleaners are at your disposal in Balham SW12 for regular and one off cleaning and housekeeping work. 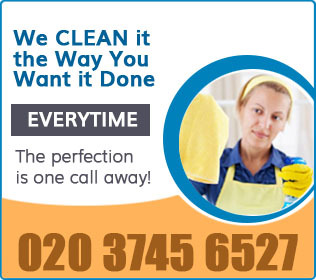 Our domestic cleaners will ensure the necessary hygiene in your home in SW12. They will do the household work which you need, tidy and clean your rooms. Our cleaners will hoover the floors, mop and wipe them, dust all pieces of furniture, sanitise the cooking appliances in the kitchen. They will polish and scrub all bathroom fittings, appliances and cabinets, clean the sinks and taps. If you need someone to do the shopping for you, our domestic cleaners can take care of it, wash and iron your clothes, throw the rubbish. We offer professional cleaning and housekeeping one off and on a regular basis in Balham SW12, done by our qualified domestic cleaners. If you have too much work and can’t cope with your cleaning and household tasks on your own, use our services. The regular house cleaners in SW12 Balham will ensure the neat and clean condition of your house or flat. Our call centre operators work around the clock for our customers’ convenience. They can schedule a meeting with our domestic cleaners and free inspection of your home.